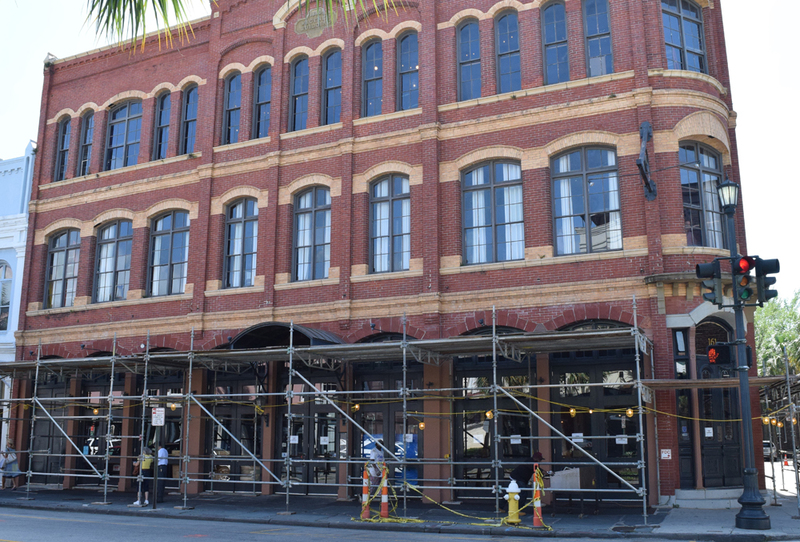 Plans to renovate the building at 161 East Bay Street, formerly home of a Lagunitas Brewing Co. brewery and taproom, are coming together, according to one of the owners. Brenden Maloof, a principal at New Jersey-based commercial real estate firm Heights Equities Inc., said right now he’s working on interior demolition to bring it “back to its original warehouse roots, brick to brick walls,” before Heights Equities launches into renovations. Lagunitas began repairs on the building last year, but the brewery vacated the property when it became clear that the building needed more work than they were willing to put into it. Heights Equities, which purchased the building in 2013, took over the repairs from there. Maloof said he’s working with Liollio Architecture to design the new interior space, with the building’s first floor remaining restaurant space and turning the second and third floor into an event space. Maloof said there isn’t a tenant for the restaurant space yet, and he predicted it would be another year before demolition and construction are complete. To finance the project, Maloof is using money from the $4.5 million sale of Terrace Plaza on James Island, which was purchased by a group that includes Paul Brown, the owner of the plaza’s Terrace Theater. Heights Equities bought the shopping center in 2016 for $3.7 million because the company liked the neighborhood and liked the theater, Maloof said. But the center ended up not fitting with the Heights Equities portfolio, he said. All of the firm’s other commercial properties are triple-net —meaning the tenant pays taxes, insurance and common area maintenance, among other costs — but Terrace Plaza wasn’t, requiring Maloof to be a more hands-on landlord. Heights Equities owns several other properties in the Charleston area, including beach rental houses on Sullivan’s Island, a Red Lobster in North Charleston, and a historic residential property on South Battery. The Library You Need to See in Every State & D.C.